Can Airtel offer you faster 4G speeds than Reliance Jio? A day before Relaince's AGM, Airtel announced LTE Advanced speeds in Mumbai using Carrier Aggregation technology. 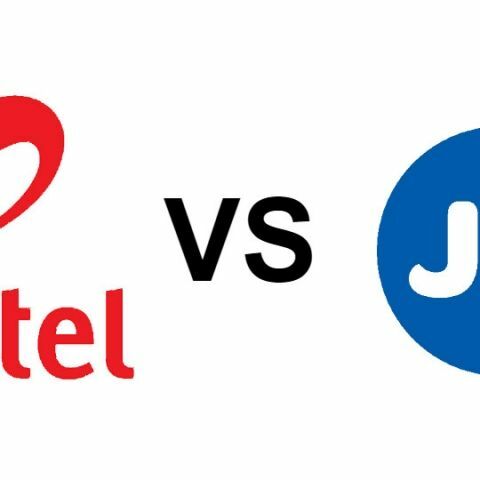 On August 31, a few days before Mukesh Ambani set the Indian telecom scene on fire with his announcement of Reliance Jio’s tariffs, competing telco Airtel had made an important announcement. Airtel announced that it will deliver “superior 4G” experience to customers in Mumbai using Carrier Aggregation (CA) technology. Airtel promised data speeds of up to 135 Mbps, which is just below three times of what current peak 4G speeds are. The keyword in Airtel’s announcement is “Carrier Aggregation”. This technology allows telcos to combine various channels within or amongst LTE bands, to achieve what is called LTE Advanced. Also known as IMT Advanced, the technology is still being studied by the 3GPP (3rd Generation Partnership Project), a standards body that developed the UMTS standard. As mentioned above, CA is the process of combining the different carriers in LTE bands, to provide higher bandwidth, and hence higher data speeds. Qualcomm’s explanation below is perhaps as easy as it gets. Since 2015, Airtel’s customers in Mumbai have used its 4G services over the 2.3GHz band, which was augmented by the 1800 MHz band this year. With CA, Airtel will combine frequencies from these two bands, to offer higher data speeds. Consider a road that can accommodate four cars side-by-side at a time. If the road is widened then the number of cars travelling together can increase, or the four original cars can have more space for themselves. Combining the channels (for example 15MHz and 20MHz) allows Airtel to achieve just that. Instead of using a single channel at a time, your phone connects to two or more, thereby increasing the overall data speeds and reducing network congestion. In theory, LTE Advanced can achieve downlink speeds of 1Gbps and uplink speeds of 500Mbps. The latency between server to device is reduced to below 5ms, which is more than enough for multiplayer gaming. Device compatibility is of course one question. Your phone has to support CA for such speeds to be accessible. Fortunately, chipset makers were aware of carrier aggregation well before us. Qualcomm's SoCs have supported LTE Advanced from the Snapdragon 200 to Snapdragon 800, and from Snapdragon X5 to X12 modems. The architecture for LTE Advanced and CA, though, are built keeping backward compatibility in mind. That aside, CA is still under experimentation. Airtel’s release suggests that it is offering Class C CA bandwidth, which is the highest today. CA bandwidth classes go from Class A to F, of which D, E and F are still under study, according to the 3GPP. Class C bandwidth allows 100-200Mbps data speeds. Further, while CA is possible within a single spectrum band, Airtel’s implementation is across bands right now. It is unclear whether Airtel can or will implement the same in circles where it has only one band. Also, a telco’s core network must support CA. This evolution is known as System Architecture Evolution (SAE). The new core networks, under SAE, can be completely IP-based, which means Reliance Jio’s newly developed IP-based network may already be capable of LTE advanced as well. If it is, Jio may rue the fact that Airtel beat them to market with LTE Advanced. Alternatively, the fact that Airtel has SAE Architecture on its network could mean that the operator has at least a partially VoLTE ready, IP-based network. If it can implement CA in all its circles, Airtel may be able to achieve higher speeds than Reliance Jio, along with the capabilities that IP-based networks allow. How does a download manager download files faster than without using it?